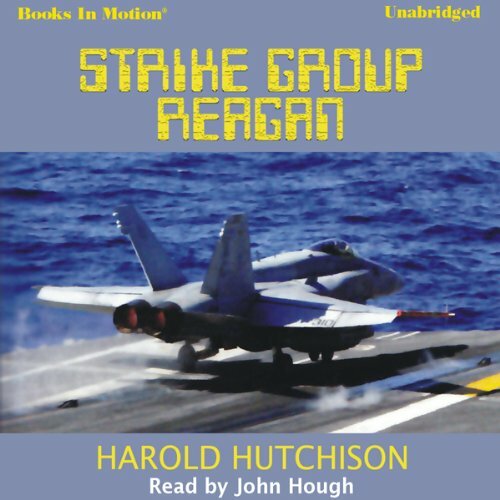 Showing results by author "Harold Hutchison"
In Strike Group Reagan, Harold C. Hutchison takes us inside the world of war and sacrifice, loyalty and heroism, in a story that mirrors events taking place around the globe. Lieutenant Renee Patterson is a Navy fighter pilot with one of the squadrons assigned to the carrier USS Ronald Reagan. The Reagan and its battle group, under the command of Rear Admiral Kevin Bradshaw are deployed to the Mediterranean. Renee's sister younger sister Angela is in Tunisia to study archeology, when a civil war breaks out, and American citizens need to be evacuated.